Since it is impossible for me use two different branded monitors at the same time, "for either I will hate the one and love the other, or I will hold to one and despise the other". I need to choose one and give up the other one. So I have no choice but to choose only one. At this point, the best choice I think is that, I need to give up something good, in order to experience and enjoy something BETTER or even the BEST. 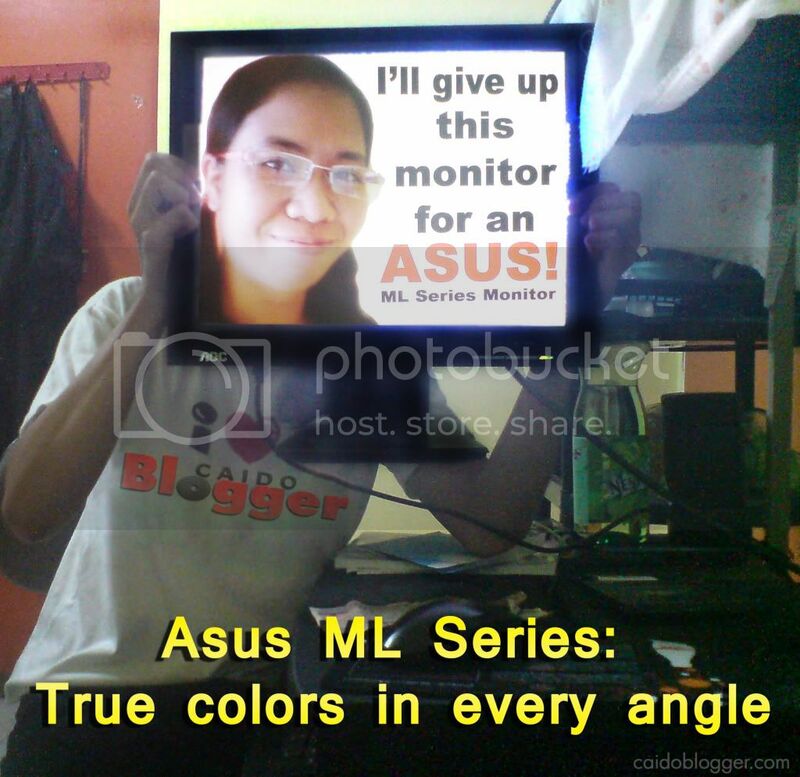 For a new 23″ Asus ML Series 229H LED Monitor that will bring true colors in every angle to all my designs and projects. Update (9-9-2011) : This entry was chosen by ASUS Philippines as one of the Top Ten finalists! Yay! See the top ten finalists here. Even though, I was not lucky enough to take home that Asus ML Series LED monitor, I'm still happy that my entry was on the top ten. ^_^ Anyway, I really had fun making this entry!